This event will take place at Congregation Kehillath-Israel.Purchase tickets HERE. Celebrated children’s author Jason Reynolds discusses Lu, the fourth and final book in the Track series. Lu was born to be cocaptain of the Defenders. Well, actually, he was born albino, but that’s got nothing to do with being a track star. Lu has swagger, plus the talent to back it up, and with all that—not to mention the gold chains and diamond earrings—no one’s gonna outshine him. Lu knows he can lead Ghost, Patina, Sunny, and the team to victory at the championships, but it might not be as easy as it seems. Suddenly, there are hurdles in Lu’s way—literally and not-so-literally—and Lu needs to figure out, fast, what winning the gold really means. 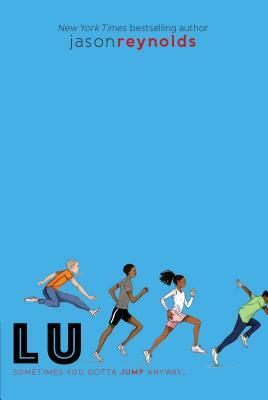 Starting with National Book Award finalist Ghost, the Track series follows the four rookie members of a middle school track team.